When you visit Loan by Phone, you can apply for a payday loan on their website, or you can apply by calling their toll free number 877-577-7977. If you would rather apply for your payday loan by fax, or if Loan by Phone is having trouble verifying either your employment or banking information, you may fax your loan application to one of two numbers. First-time applicants would fax their loan application to 877-577-7978. Returning applicants can fax their loan application to 866-451-3007. Loan by Phone's hours of operation are Monday through Friday between 9 am and 9 pm, and Saturday from 10 am to 3 pm EST. If you do not want to fax your payday loan application, you will need to verify on the http://www.loanbyphone.com website whether your state allows faxless payday loans. If your state is on the list, you will not need to fax your application after applying online for a payday advance loan. When you fill out your application, you will need to give a telephone number where you can be reached while your payday loan application is being processed. When you apply for a payday loan from Loan by Phone, you can receive the money from your loan in as little as 24 hours from when you submit your application. Loan by Phone will process all loan applications received by 7 pm EST. Once your loan has been approved, the money will be direct deposited into your checking account, allowing you access to the funds the next business day. Several things will determine the amount of your payday loan. 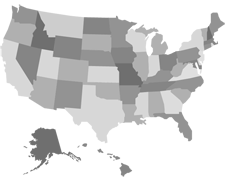 Each state has different laws covering payday loans and amounts that can be borrowed from a payday lender. Additionally, since Loan by Phone does not want to loan you more money than you are reasonably able to repay, your income will determine how much you are eligible to borrow. Because Loan by Phone follows Community Financial Services Association of America (CFSA) regulations, you can decide to cancel your payday loan up to 24 hours after you receive the money. Simply return the money to Loan by Phone, and your loan will be cancelled. If you are unable to pay your loan on the due date, there may be several options available to you. Since the laws and regulations vary from state to state, you will need to contact Loan By Phone to find out what options you can choose. In some cases, you will be able to roll your loan over by paying only the fee on the due date. Loan by Phone and Check Into Cash have both set a limit of four rollovers. However, if your state limits the number of rollovers to less than four, Loan by Phone will use the lower limit set by your state. Additionally, Loan by Phone does offer an extended payment plan. If you wish to arrange an extended payment plan with Loan By Phone, simply call 877-577-7977 before 6 pm on the business day before your loan is due. They will walk you through the extended payment plan arrangement. For additional customer service, the Loan by Phone website has tips and suggestions for money management help. The money management page has links to a number of websites where you can get more information on better handling your finances. Loan by Phone offers these links to help you get out of debt. Though they are more than happy to be there when you need to get a payday advance, they understand that you would only choose to get a payday loan as a last resort. Loan by Phone is a subsidiary of Check Into Cash, one of the most well-known and trusted payday loan companies in the United States. As a result, Loan by Phone follows the same high customer service standards as those established by Check Into Cash. Additionally, Loan by Phone will follow all laws and regulations established by the Community Financial Services Association of America (CFSA) and the local laws and regulations of the state in which you live. To follow these regulations, Loan by Phone only offers loans in the states in which either Check Into Cash or Loan by Phone have an operating license. In the state of Utah, there are several regulations that vary from other states, including information on prepaying your payday loan. More details can be found on the FAQ page on the http://www.loanbyphone.com website. To reach Loan By Phone through email, you can email them customersupport@loanbyphone.com, or fill out the form on their website.